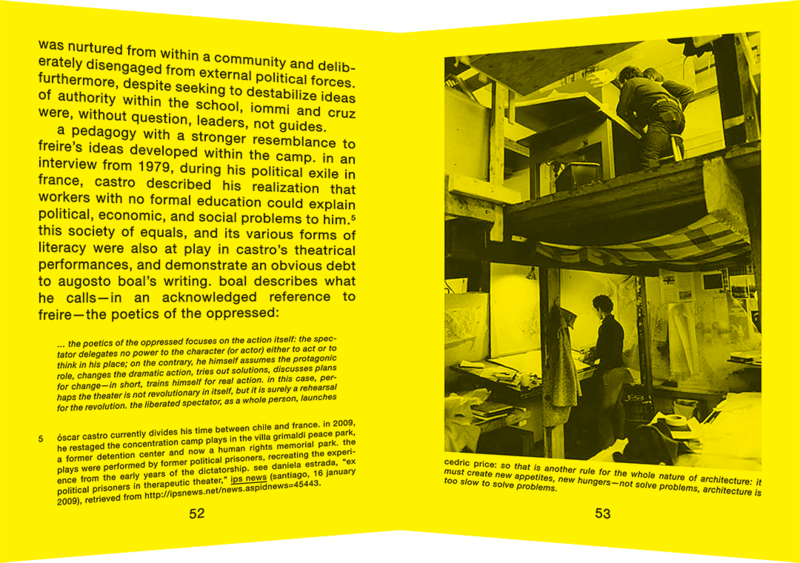 2 – interior spread. 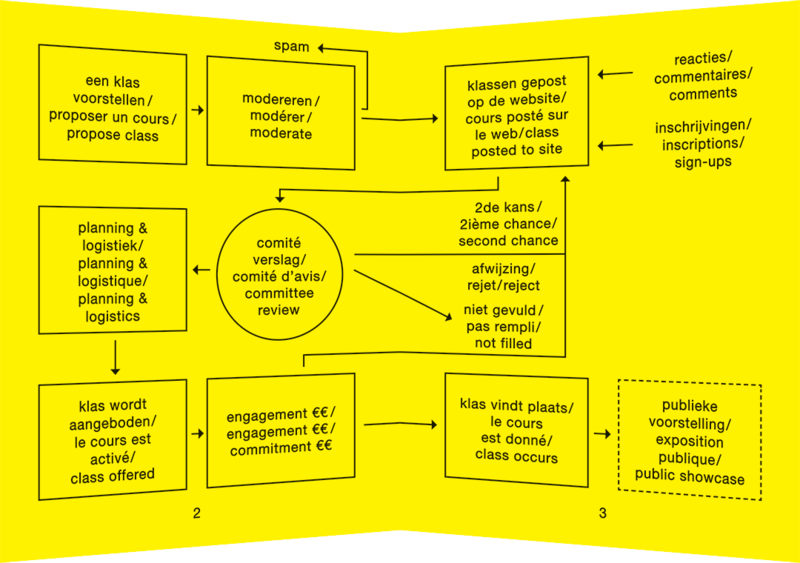 flow diagram of the public school. 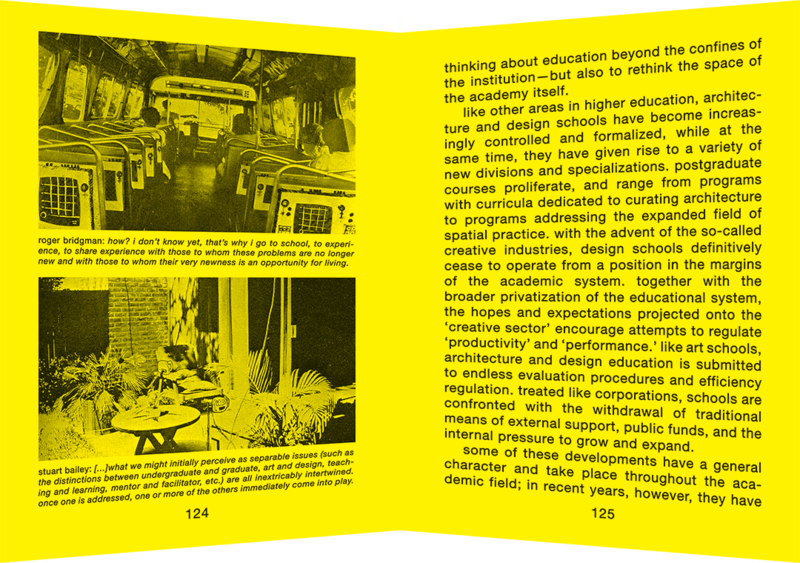 3 – interior spread. 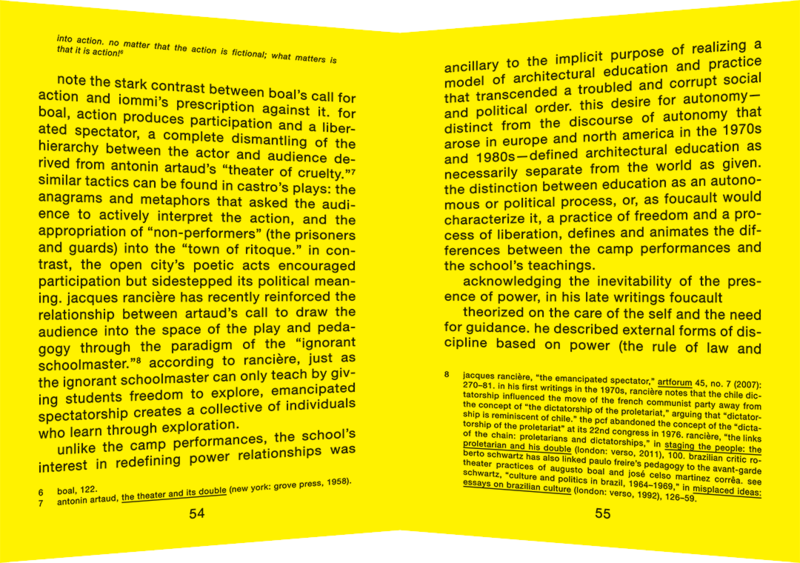 essay by jorg de vriese. 4 – interior spread. letter by thomas guilleux. 5 – interior spread. 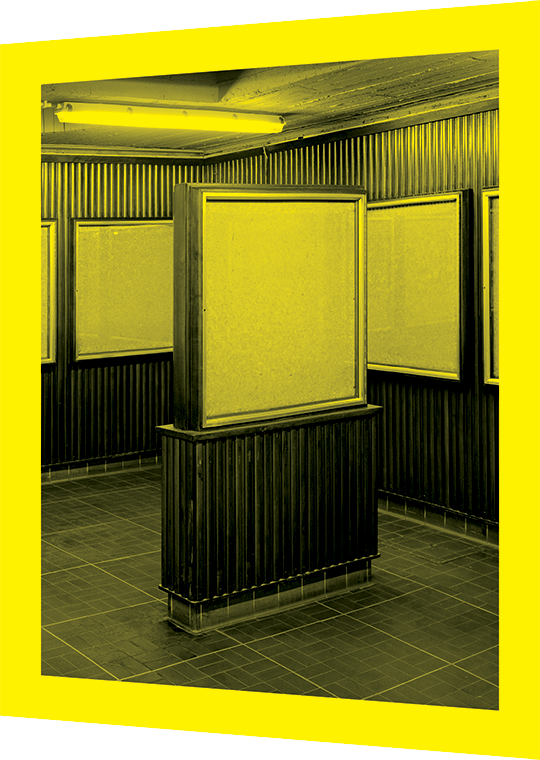 essay by stephane damsin. 6 – interior spread. essay by ana maría león. 7 – interior spread. essay by ana maría león. 8 – interior spread. article by tom vandeputte. 9 – interior spread. class calendar. 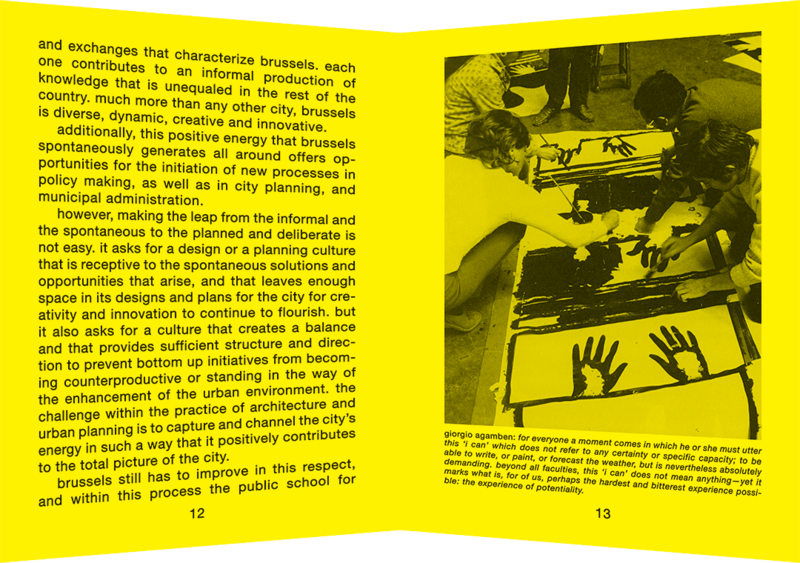 this book was conceived following the first eight weeks of the public school for architecture brussels which took place as the first recyclart congresidency at the station brussel-congres/gare de bruxelles-congrès in the spring of 2014. the publication documents the activities that took place during the residency and also provides an opportunity to reflect more broadly on the public school for architecture brussels by asking what an alternative education in architecture is and why it is necessary. 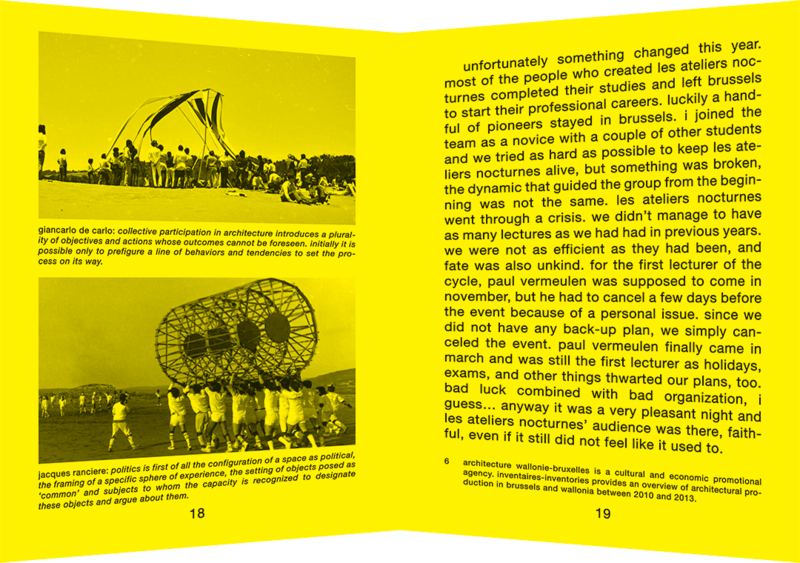 the book contains texts from the committee members that helped initiate the program as well as documents from the all classes that took place during the residency with some additional material by participants. 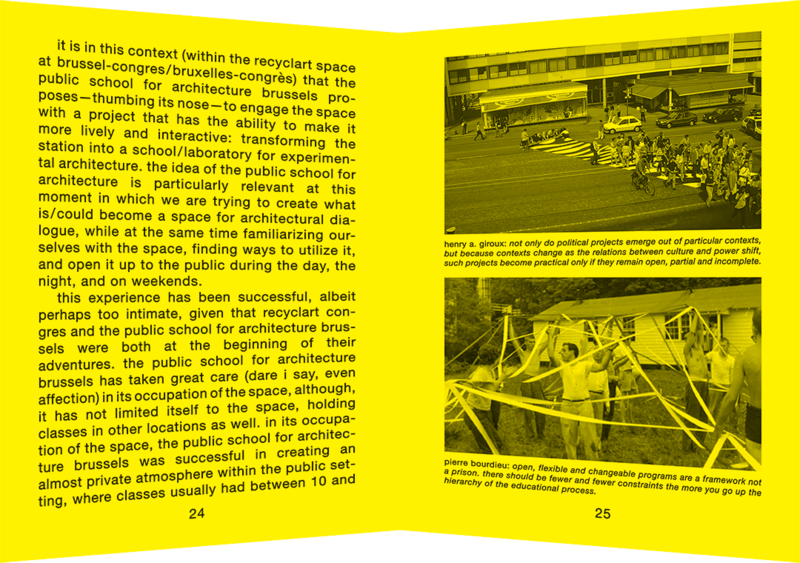 furthermore a number of contributions from people outside of the school provide a broader perspective on pedagogy and contextualize the program in a larger discussion about architecture in the city. with contributions by i.a. ana maria león, anne callahan, kim förster, mark jarzombek, reinhaart vanhoe, sean dockray, stephen squibb, casco, bertrand cavalier and tom vandeputte. 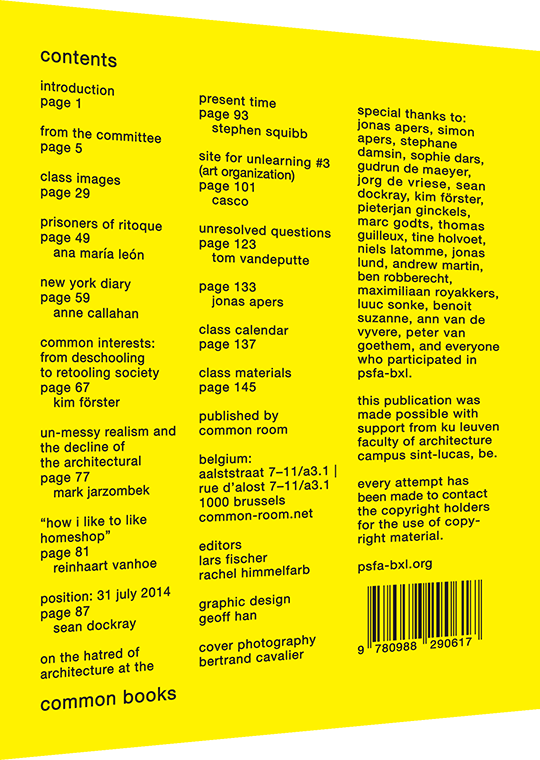 available at: san serriffe, amsterdam; casco, utrecht; the cca bookstore, montreal; peinture fraîche, brussels. 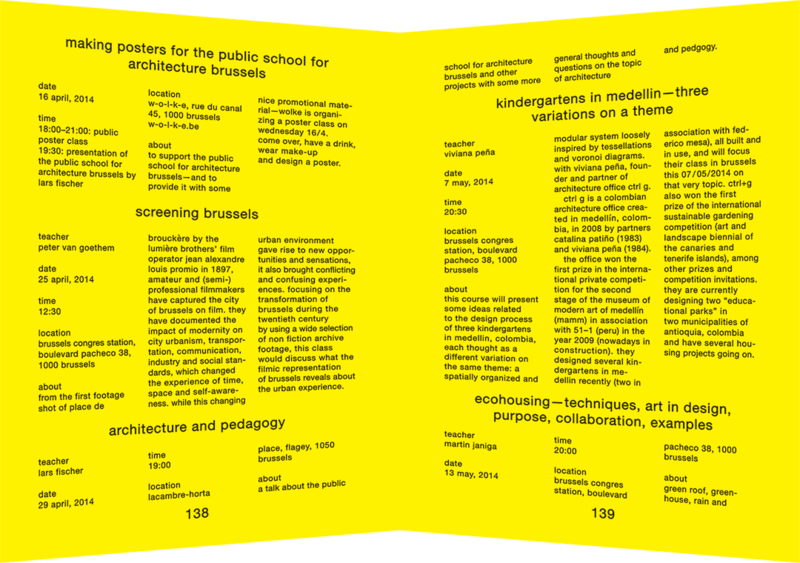 this publication was made possible with kind support from ku leuven faculty of architecture campus sint-lucas.